The 2011 ATP Conference was held at Hertfordshire University, near London, on 8-10 July. 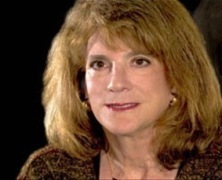 World-famous psychologist in the field of memory, Elizabeth Loftus (pictured), was the keynote speaker, whose talk, as well as her participation in the social events, delighted delegates. The ATP conference is the biggest annual UK event for psychology teachers, and it is always interesting as well as very sociable. Each year a number of EFPTA members attend; this year the ATP welcomed several delegates from Iceland. See the conference website for 2011 conference reports. Planning for the 2012 Conference is underway - it will be held on 6-8 July. The venue is Aston University in Birmingham, which is easy to reach by train (less than 90 minutes from London) or by air (Birmingham International Airport). All EFPTA members are very welcome to attend!